Apple’s music streaming service unofficial head, Jimmy Iovine, may step down from his post in August of this year, according to a report from Billboard. The report notes that the timing overlaps with Iovine’s Apple shares being fully vesting. In 2014, Iovine and Dr. Dre sold the headphone maker Beats to Apple for $3 billion. Why is Iovine leaving Apple? Bloomberg has also backed Billboard’s claim stating that Iovine will move out of the company after getting the final payout for the Beats Electronics acquisition. Iovine is unlikely to stay in the company even if he receives a new offer as his vision sometimes differs with other executives at the company including Eddy Cue, notes MacRumors. Even though Iovine does not work under any official title in Apple, he has been taking care of Apple Music since its 2015 launch, and has a number of profitable negotiations to his credit, notes MacRumors. Jimmy Iovine has helped Apple Music reach 30 million paid users, almost half way to Spotify’s 70 million monthly paid subscribers. Apple’s achievement is worth mentioning since the nascent service has been quick to narrow the gap with Spotify. Apple Music is headed by Robert Kondrk, who reports to content boss Eddy Cue. Last year, there were reports that Iovine would head the company’s move into video, but he hasn’t had a big role in Apple’s original TV shows push, which is supervised by former Sony executives Jamie Erlicht and Zack Van Amburg, who also report to Cue, notes Recode. Last month, to better its music streaming service, Apple acquired Shazam, a British software company behind a popular music tagging and recognition app. Apple has integrated the Shazam music recognition feature into Siri Voice. A user just needs to activate Siri on iPhone, iPad or Max to identify the music being played. Shazam’s tech could be integrated into more Apple products in the future. The deal was reportedly worth $400 million. As Iovine reportedly preps to leave the company, a question that is bound to float is, did Apple earn enough revenue compared to what it paid to Iovine and his partner Dr. Dre for Beats four years ago – the largest acquisition in the company’s history? Well, Beats headphone lines contribute real revenue to Apple. Moreover, 30 million paid subscribers are also contributing to the revenue, and Iovine can surely be credited for some of the connections at least. However, another argument could be that music streaming services do not require big names behind them. Spotify is a good example of this as it is run by a Swedish programmer, who initially had no exposure to the music industry, notes Recode. 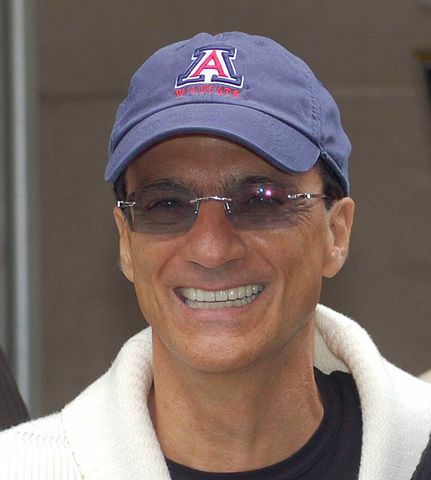 Nevertheless, Iovine has built himself a strong place in the music industry. He has worked as a recording engineer with legends like John Lennon and Bruce Springsteen, and as a producer for big acts like Tom Petty & The Heartbreakers, Patti Smith, and U2. In 1990, Iovine founded Interscope Records, which later merged into Vivendi’s Universal Music Group, notes CNET. On Thursday, Apple shares closed up 0.46% at $173.03.